If you are reading this article then I am sure you are someone who is thinking of using video marketing as a medium to explain your upcoming blockchain product. We have worked with a lot of product companies and over the years we have realized that video works really well for products which are complex in nature. So the more complex your product is, the more boost you will get by using video marketing for your product. The main benefit of using video to explain your product is that it brings clarity to the prospective buyers. And that’s why using video marketing material like demo video, walkthrough video or even the good old explainer video will help your product in explaining your concept to the audience. Because Blockchain marketing is new and not many people know about it. Now using text and photo-based description can only do much for your product. I mean, you know it right? That’s it’s freaking HARD to explain someone and communicate your value using a simple written up text. And that’s the specific reason why you should use video marketing to explain your blockchain concept to the masses. I mean look at these 2 videos. Look at how simply they have explained their concept to their audience using the AV format. Had it been text alone, convincing viewers would have been a tough task. After seeing these videos you might have realized that marketing your blockchain idea isn’t an impossible task. 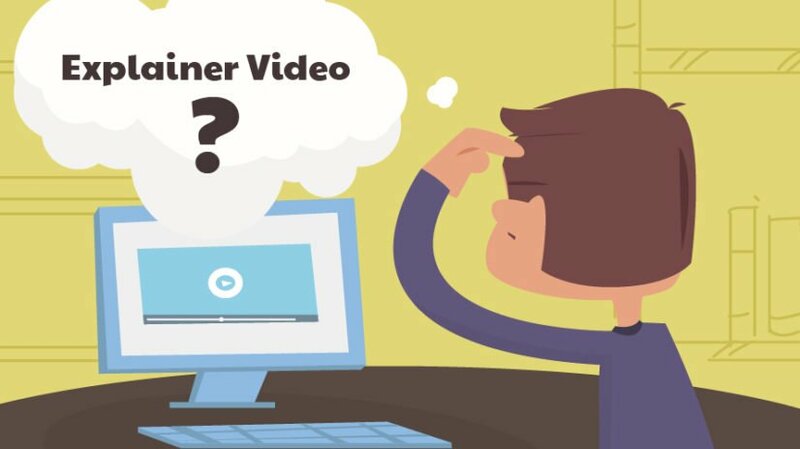 The same way you can create a host of video marketing material like product explainer videos, marketing videos, explainer videos to explain your blockchain and crypto concept. And that’s why with blockchain sector video marketing matters a lot. So if you can nail your marketing videos for your blockchain concept. The chances of getting more returns on your product are increased substantially. From what I think Blockchain is a complex concept and making your audience understand the systems within your product is the tough part. You can not only use your video marketing material on your website but you can also use them on social media websites. Because most of the social media portals are on autoplay video mode, so your chances of spreading your message within your target audience are increased spreading your material on social media. You can also increase your reach by adding paid advertising to your product. So if you can target it to the right audience, that can help you in spreading your word to your audience at a much faster pace. 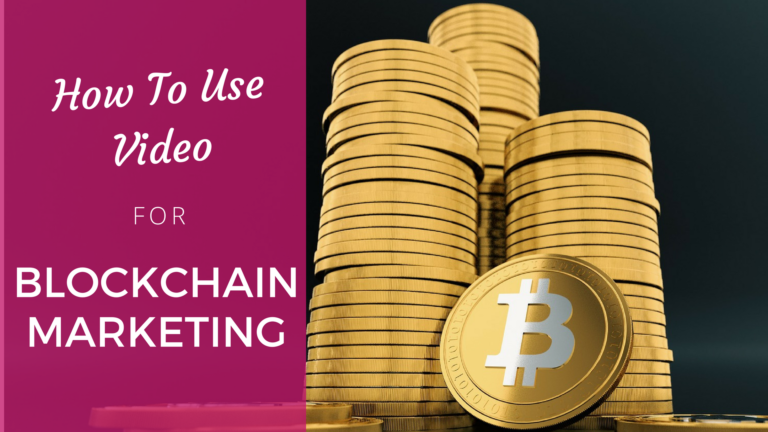 Advantages Of Using Video For Blockchain Marketing. I am guessing that you are already aware of the fact that attention span for people on the internet is going down day by day. There have been various companies which have researches on internet users, which says that if you are able to capture the attention of your user within first 3 seconds then it’s great for your website. But if you are not able to then they’ll leave your website. And if they’ll leave your website you won’t be able to sell your products to them. And with video consumption increasing on the internet. Capturing user attention has become an easy task. And that’s why video posts get more shares and views as compared to texts and video posts. People these days want to understand concepts in the easiest possible manner, so if you make them work hard to understand your technology, they won’t do it. They’ll leave your website for a simpler product. Traffic from Google is a matter of rankings, you need to really nail the SEO part for that. With video, your chances of competing with other text are written blog posts and other types of posts go up by folds. Even if you have a text written blog post or a landing page. Having a high-quality video on the page will increase your website’s stay time and slowly google will start pushing your website on the top search pages. 3) You can convey more information with video. The videos that you saw above is an example of how you can communicate a lot of data in a few minutes in a video format. Now imagine if you had to do the same communication in a text written blog post. It would have been 10x difficult. Look at this another video for example. So when people see a video like this, their ability to remember content from the video is much higher than average. So with video people can absorb more data than they would have done with text-based blog posts. Youtube is the world’s second largest search platform so if you can create content for world’s second largest search platform you would have tapped a BIG number of potential clients. So with tapping into viewers from youtube, you can get a pipeline of customers the same you can get them from google search. If you have been around and have been following the crypto space for some time you might already know that bitcoin has done a great job of using video and they have nailed their audience using this only. A good video helps you in promoting your brand in a much better way. By adding video, sound, narration effects you will be able to engage your prospects in a far better way than the usual text description. Starting a blockchain company and getting traction for it can be a daunting task. If you can get a high-quality video created for your business, you’ll be able to get more conversions for your idea. You double the conversions and accelerate the process using videos. People will only subscribe to something that they understand. If they understand it well, they’ll buy it from you. So if you are someone who is in need of help for your product video or explainer videos, you can head here and have a free session with one of our brand strategy experts. And he’ll walk you through for what’s best suited for your brand. If there is anything else that you need from my end please let me know about it.